Performance was certainly one of the reasons you decided to buy your Hyundai vehicle. But without regular service and maintenance, normal wear and tear will begin having a negative impact on your vehicle’s driving dynamics. Not only will service negligence affect your vehicle’s performance, but also its longevity. Whether your check engine light just came on, you need a routine oil change, or your car requires more serious engine repair, you can turn to the Planet Hyundai service department for timely service from professionally trained technicians. 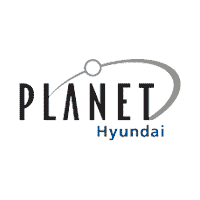 Why Service Your Vehicle With Planet Hyundai? There are a lot of good reasons to choose Planet Hyundai in Golden, CO for your automotive service, maintenance, and repair. First, our team of technicians has the tools, experience, and skills to get the job done right the first time so you aren’t sacrificing more of your time to get your car operating the way it should. In that same vein, we ensure timely service so you can get back your life. We understand your daily routine probably hinges on having access to your car, so we make every effort put you back behind the wheel of your car quickly. Throughout the service process, our technicians are completely transparent and keep you in the know each step of the way so you know what to expect when it comes time to pay. With a team of true professionals, you’ll quickly understand why more Golden, CO Hyundai owners continue turning to Planet Hyundai. When you bring your vehicle to Planet Hyundai, not only will you experience service from skilled and experienced technicians, but you also can be sure they are using parts and equipment to repair it the right way. With advanced diagnostic equipment to ensure we know exactly what is wrong with your vehicle and genuine Hyundai parts to guarantee seamless replacements, you can rest easy knowing your Hyundai is in good hands. We keep a selection of Hyundai parts at our service center to ensure we can replace parts quickly. If you want to fix your Hyundai at home or with another service center, we also sell the parts from our dealership. On the rare occasion we don’t have the part in stock, we can quickly order it from Hyundai and get it installed so you and your car can get back on the road in a timely manner.